Economy can be nice, premium economy is better, business class is pretty wonderful but first class- is out of this world. But assuming you’re not a complete plane geek (and even if you are) we fly to get somewhere, and ideally, somewhere wonderful. For just 70,000 points, you can fly to Japan, enjoy- and then onto India, thanks to a wonderful opportunity. If you’re really snooty- you may have been wondering just “what” first class we’re talking about. Fortunately, we’re talking about one of the very best. Japan Airlines serves $350 a bottle champagne, has a gigantic bed and some of the best service in the sky. Best of all- you can do this crazy experience, even if you have no points at the moment. If you were wondering HOW this is possible- it’s because of Alaska Airlines really generous rules for tickets using miles. 70,000 points from the U.S. to Japan is the same rate as flying from the U.S. to Japan, stopping over for an extended period and then going onto India, thanks to the program. This is all because Japan Airlines considers India part of Asia- who knew?! Love it. This is only possible for 70,000 points if you’re booking with Alaska Airlines Mileage Plan Miles. If you have 70,000 of those already- skip to the next section. If you don’t: you can create them in the US via the Alaska Airlines credit card. For everyone else- you can buy Alaska Miles in their regular, fantastic discount sales. During one of their sales (soon to be announced) the points go for $1473. SO now you know what you need, and it’s time to book. The easiest way to search for Japan Airlines first class seats is by using the British Airways website. It’s free. Simply search from your preferred departure point (which Japan Airlines serves) and search for flights to Tokyo. When you find seats, write down the dates and flight number. Next- search from Tokyo to Delhi. 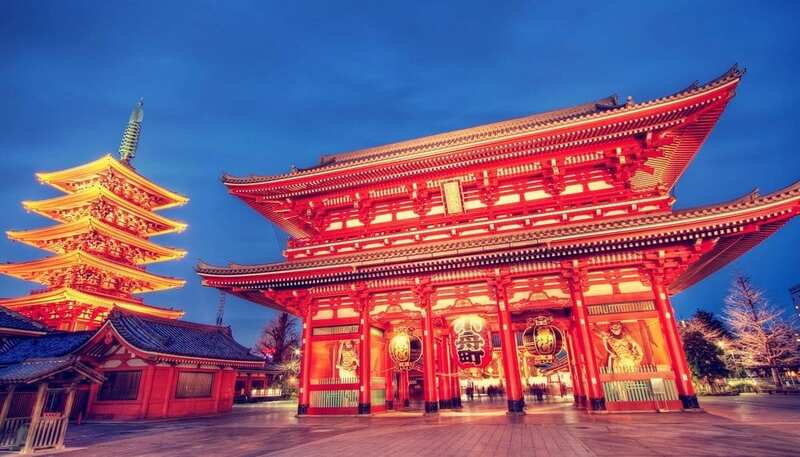 Choose dates for those flights that give you enough time to stop and enjoy Tokyo and Japan. When you find those flights, write them down and call Alaska Airlines to book. If you want help booking- we recommend Award Expert, or searching yourself- using ExpertFlyer to set alerts for seats. Are you going to book one of these clever uses of points? Featured image courtesy of Japan Airlines. A great way to travel. Do you know when the next Alaska miles sale is gonna go live? I did just this in September. Couple of things. Award seats are easier searched on alaska’s website. Also there is no first class on JAL between Tokyo and Delhi. Business class at best. In the words of Coldplay “nobody said it was easy”. Plenty of people manage to do this all the time. Only business may be available on the connection to Delhi, but that’s not too bad for 13 hours of first class and 10 of business class. That’s great..any suggestions on how to get the connecting flights using miles to different cities in India other than Delhi . @kukar we need to link up. I’m in ATL too and delta has this place in a strangle-hold. Having “the busiest international airport in the world” is worth nothing when 75% of the flights leaving ATL are DL flights. Your only options to fly internationally are 1) pay top dollar to fly non-stop on DL or KLM 2) fly on a “cheaper ticket” on DL AND connect in another city or 3) fly with AA or UA and still connect in some other city (e.g. CHI/DC/MIA) to fly internationally. I hate that!! From Atlanta, that would mean Atlanta to Seattle, then Seattle to either LAX or SFO. That’s a pretty tough schedule, but if you can find 1st Class in Alaska, that’ll soften it a bit, and If your JAL flight is in 1st, it won’t even boost the cost. I wonder how much miles would it cost for a similar travel plan from SYD or MEL to DEL?